L’oreal Paradise Extatic Range – Worth the hype? L’oreal Paris is one of the high end make-up brands that has the most promising products. It is very rare that I resist and turn my face away from new products and this time wasn’t any different. 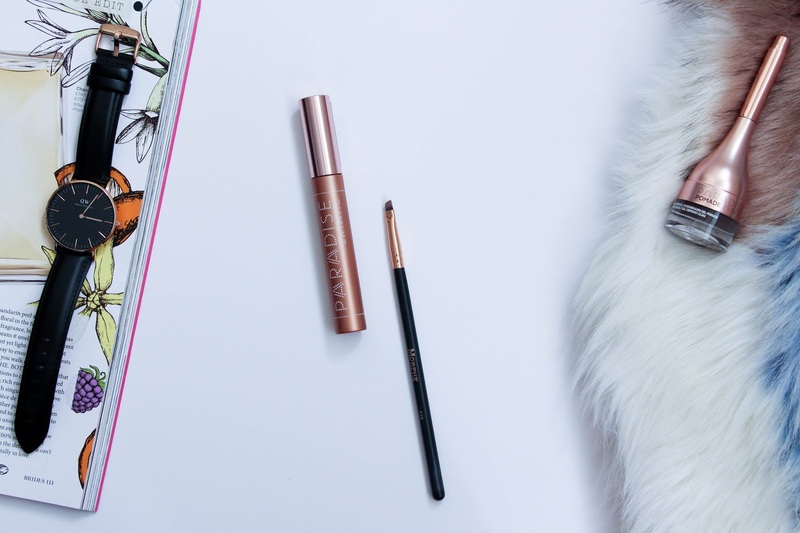 The Paradise Extatic range includes a mascara, a brow pomade and an eyeliner. I have to say that the mascara was the product I was looking for as my eyelashes are very flat and boring but when I looked at the brow pomade, I just had to have it. I have wanted to try the Anastasia Beverly Hills Brow Pomade but because I never really tried a product like it and wasn’t sure that I was going to like it, I decided not to spend my money on it. 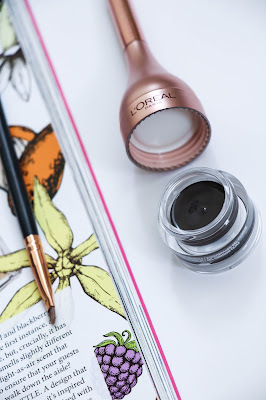 Drugstore brands don’t have that many amazing brow pomades (at least that I know of) and so the L’oreal Paris Paradise Brow Pomade came handy. I have been trying both products for almost two weeks now and I have to say that I am quite impressed. Having never tried a brow pomade, I was quite hesitant and unsure about this product but it did surprise me. The formula is very creamy and pigmented. It glides on and it is really easy to use. The brush that comes with it is actually quite good although I found it a bit tricky to use due to its short handle but I easily got used to it. I have also tried it with my Morphe R45 Angled Brush and it worked really well. I achieved a nicely sharp and defined brow which is something that I do love. You can also do it slightly more light handed and you can get a more natural brow look. I have mine in the shade Ebony and I love it. They have a total of five shades so I think that you might be able to find the perfect shade for you. The packaging is very sleek and compact and I love the rose gold color – it all looks amazing. 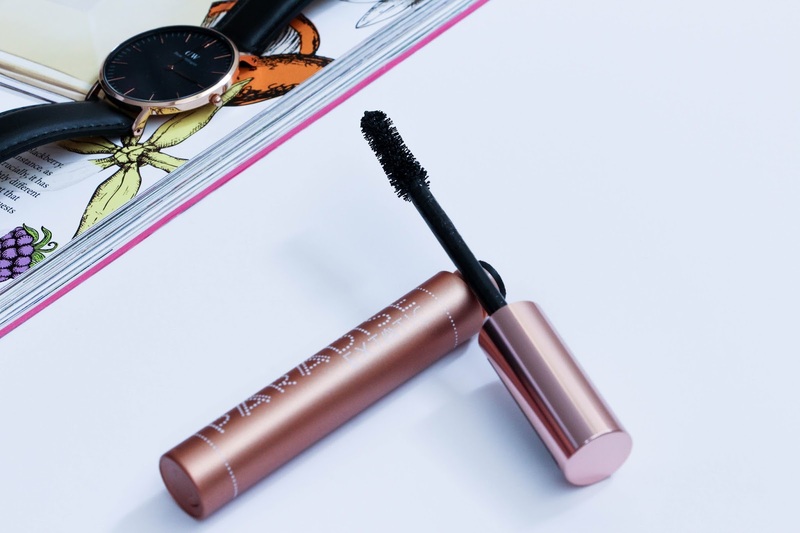 Now let’s talk about the product I was most excited for – the L’oreal Paris Paradise Mascara. I honestly never was so excited for a mascara like I was for this one after hearing and reading amazing reviews. I kept looking for it at my local Boots store but it took a while to be in stock. Anyways, now I have it and I can say that I am in love with it. Again, an amazing rose gold packaging that makes this mascara even more special. It has an hourglass shaped brush with very soft bristles. This mascara separates and lengthens the lashes leaving them looking beautifully long. The formula is silky smooth, not flaky or clumpy. You can easily build up layers without it getting really messy and horrible. That is a big thumbs up for me because with my baby flat lashes I do need to apply at least a second layer and I am really happy that I can do that with this product with no problem at all! The only down side for me is that I think that it comes with quite a lot of product on the brush and I like to go gentle when it comes to my eyelashes as I love a powerful mascara but don’t love if it gets all clumpy but like I said above, it doesn’t happen with this one. I do remove a bit of the excess product on the brush but it’s only because I am a bit particular with it! I absolutely love these two products and I will be definitely repurchasing them soon. Have you ever tried them?